These two CDs were my introduction into what is known today as Historically Informed Performances (HIP), also called by many as just period performances. 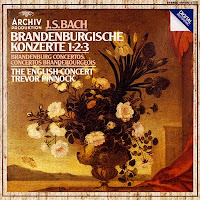 I got them in the early 1990s when I was still in grade school, and rightfully that it should be of Bach's monumental Brandenburg Concertos. I have owned recordings of concertos by Bach and Vivaldi up to that point, but all of them were by ensembles using modern orchestras. 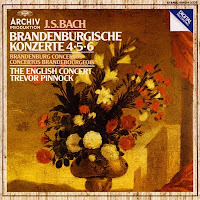 As a kid, I was already enjoying these Baroque concertos, but my initial listening experience of these 2 CDs would leave a lasting impression on me. HIP have evolved and moved on since, but these at one time would be the measuring stick of Baroque music playing. Listening to these again after so many years, it is still a solid performance and enjoyable. this set was an early revelation to me, too. I don't play it now... But it is well worn!